Our Special rummy tournaments continue to grow in popularity and providing our players the opportunity to win huge cash prizes in a matter of minutes. These hyper fast tournaments are unique in the online tournament world providing every participant a fair chance to win. We have a history of conducting successful tournaments and promotions, ranging from Deposit bonuses to Loyalty race with all expense paid trips for the winners. Deccan Rummy is always striving catering to the evolving needs and demands of rummy players in the country. 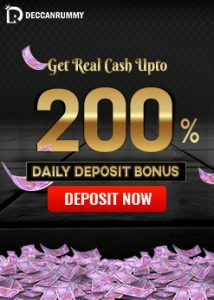 After our website upgrade, we have launched a series of promotions that give the players an awesome opportunity to win real cash and other goodies. Every month, we offer our players awesome opportunities to win huge cash prizes, awesome gift vouchers, paid trips and so much more. Additionally, there are daily freeroll and cash rummy tournaments that you can always play any day. Thanks to our innovative platform, you can play all these tournaments from your mobiles wherever you are. Our special rummy tournaments have struck a chord with our players. All our special tournaments launched so far have seen full house participation. Maybe it is the fighting spirit of the players to overcome the odds, which motivates them to participate in these tournaments. Not to forget the fanciful prize pool that would always fire up the players. The best thing about our rummy online tournaments is you can play them on your PC or compatible mobile device, which means you could earn a bundle of cash from your phone while waiting for a bus or even while traveling; isn’t that inspiring enough? Keeping up the solid momentum that we’ve built over the past year, we have launched yet another special tournament for this Ramzan. The prize pool for this tournament is Rs. 30000.00. It is open to all players and we expect a full house. You can expect a fierce battle in this Ramzan tournament, so armor yourself with the requisite rummy skills. With such offers & promotions, Deccan Rummy remains as the best place to play classic rummy games in India. 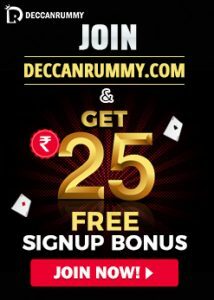 Send a private message to us with your Deccan Rummy Username and Registered email ID. Alternatively, you can purchase the ticket for this tourney for Rs. 100. Are you ready to throw your hat into our den and play for your slice? Hurry, time’s running out! Register for this tournament and go for the first place. 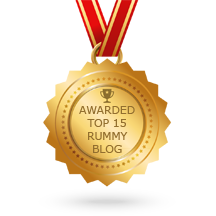 Count on us to launch many more special rummy tournaments in the future. Contact us if you have any questions about this Ramzan special rummy tournament.If you are an android user looking for a genuine 13 card rummy game download try our Deccan Rummy mobile for a scintillating mobile rummy experience. See you at our tables on Monday! 2017 Ramzan Special Tournament: Congrats to the winners!